Drinking alcoholic beverages can raise the risk for seven types of cancer, according to a new study. Even moderate drinking is linked with a higher risk. The cancers include head, neck, esophageal, liver, colorectal and female breast cancer, according to the analysis of existing studies looking at the association between drinking and cancer. The findings are published in the journal Addiction. The analysis, conducted by Jennie Connor of the University of Otago, in New Zealand, included comprehensive reviews conducted over the past decade by the World Cancer Research Fund, the American Institute for Cancer Research and the International Agency for Research on Cancer, among others. It concluded that alcohol-attributable cancers of those seven types make up about 5 percent of all cancer deaths worldwide. 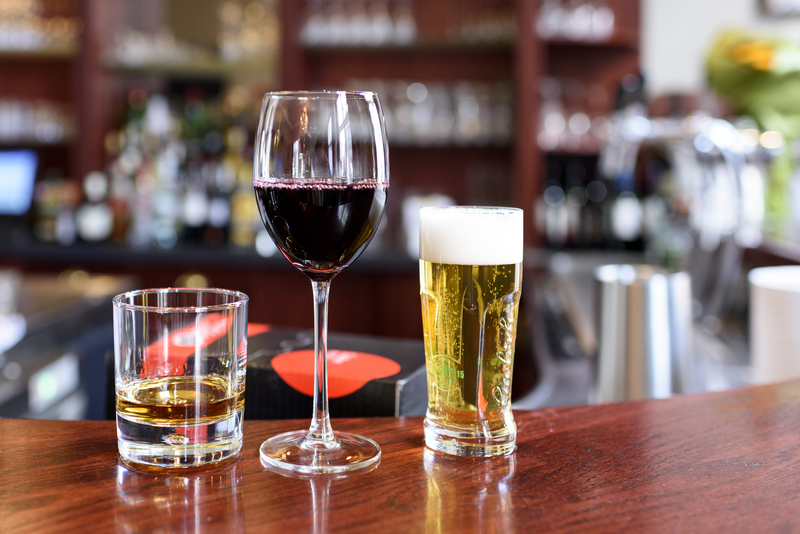 It doesn't appear to matter whether the alcoholic beverage is wine, beer, or hard liquor. The risk increased the more a person consumed, what the author called a "dose-response relationship." Connor noted that cutting out drinking might help in some cases. "There is some evidence of reversibility of risk in head and neck and liver cancers when consumption ceases," she wrote. The analysis confirms what is already known about alcohol and cancer, Dr. Susan Gapstur, vice president of the Epidemiology Research Program at the American Cancer Society told CBS News. "This is a review of an existing body of literature. Essentially the author has interpreted the literature to help people to understand. But it's not a study of any new data," Gapstur said. "These seven cancer sites have long been established." Health officials suggested that the alcohol-cancer connection might spur regular drinkers to try cutting back. "Having some alcohol-free days each week is a good way to cut down on the amount you're drinking," Dr. Jana Witt, of Cancer Research UK, told The Guardian. "Also, try swapping every other alcoholic drink for a soft drink, choosing smaller servings or less alcoholic versions of drinks, and not keeping a stock of booze at home." The study also found that the risk of certain mouth and throat cancers was even higher among people who both smoked and drank alcohol. When it comes to drinking and cancer, people should take into account factors including their smoking history, family history of alcohol-related cancers and their risk of heart disease, too, say alcohol researchers. "It's a good opportunity to remind people of the link between alcohol and cancer and that limiting consumption is always better," Gapstur said.